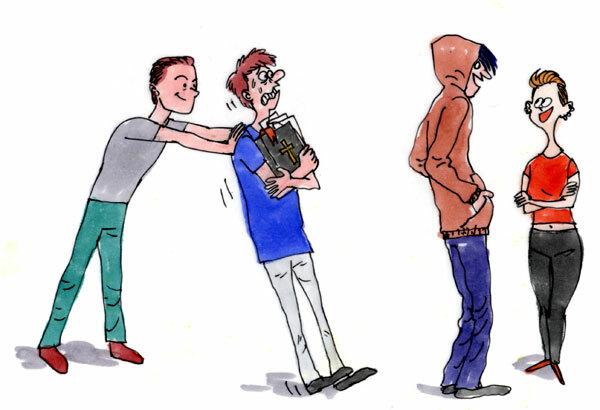 Daily thought: To evangelise, or not to evangelise as a Christian? Discussions on NUSWhispers are normally not very exciting, usually revolving around issues like studies or advice on relationships. But recent discussions on religion and evangelisation caught my eyes because most of the posts received numerous likes and comments. As someone who grew up as a Christian, I can't help but to feel intrigued as well, to see what general sentiments are like towards Christianity (I have an idea, I just wanted to see how true they are to reality). It is also not unusual for people to see Christians as a group of "self-righteous people" with a "holier than thou" attitude. There are those who even call us "fake", being nice only when we want to convert others or keep them in church. Christians may dismiss all this as part of the "trials" we face when evangelising, but I can't help but wonder, if evangelising is producing so much ill will towards Christianity, are we actually doing more harm than good? Are we actually pushing people away from Jesus rather than bringing them closer? 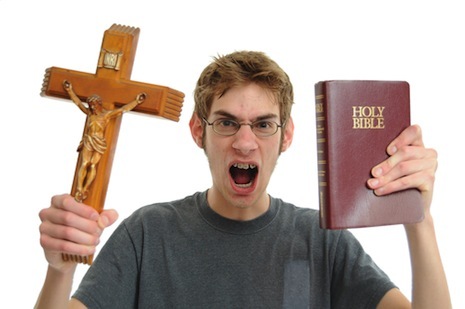 I will be the first to admit that growing up as a Christian, I absolutely hated the idea of evangelising. Which is bad, because my church placed a heavy emphasis on it. I remember how there were classes teaching us how to "spread the good news" in six steps or how to use flip cards with drawings of Jesus to help convey the message. We were routinely asked by our leaders if we have talked to our friends about our religion before and if yes, how many of them. There was this constant pressure to go out there and tell as many people as you can that you're a Christian. As someone who is introverted, naturally I hated the idea of talking to strangers to talk about the religion. And because of this, I often felt inadequate or as if I was a worse Christian compared to my other friends who are more comfortable in actively sharing their faith. I don't remember when it started but I started to disagree with the emphasis my church placed on evangelism. I felt that we were no different from direct sales marketing (or worse part of a pyramid scheme) at one point, trying to sell this Jesus product to our friends and getting them to sign up and to join the club as our "downline". Looking at the NUSWhispers posts, it reminded me strongly of those days. Where people are more concerned with selling Jesus as a product and to convert as many people as possible, like trying to hit an imaginary sales target. Now don't get me wrong. I believe that many Christians are doing it out of goodwill, sincerely believing that they are doing it for the good for others. For example, believing that if one does not accept Jesus in their life, they'll burn in hell. Hence, the desperation by some Christians to try and convert their loved ones or others, because who in the right mind wants others to burn and suffer for eternity after death? But of course, there is also the side effect of feeling "superior" when we adopt this thinking, because we will view ourselves as "saved" while others are not. Some of us may even mistake ourselves as being a "hero" of sort or experience the messiah complex, where we suddenly see the "burden" in having to "save" others from suffering. This is most evident in the NUS Campus Crusade controversy in 2012, where we liken other religion to having "little true joy." "But Luke, didn't Jesus ask us to go forth and make disciples? And didn't he say that no one can enter the kingdom of heaven unless he/she be born of water and the Spirit?" While the above two verses are true, I think that care needs to be taken in approaching these two verses, because it is also these two verses that are causing us Christians the a lot of bad blood with non-Christians. Many Christians take these two verses in zeal, which I think may be the reason why evangelism became such a prominent focus in Christianity. Personally speaking, while it is true that Jesus did ask us to make disciples, he didn't really specify how to do it. 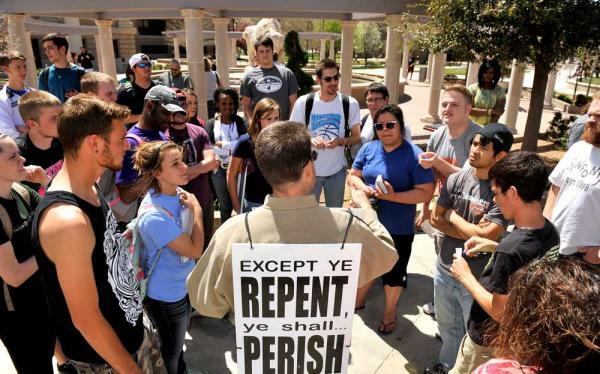 Do we go out and preach, standing in one corner and asking people to repent and convert (like what many are doing now)? Telling them that they are doomed unless they accept Jesus? Jesus may have said in one verse that no one goes to God through Him or baptism, but I can't help but notice that in two cases, Jesus didn't do just that. In fact, he simply said, "Go forth and sin no more." Now the interesting question to ask in this two cases, one involving an adulterous woman, are they considered saved? Or do they need to separately go for baptism classes, despite Jesus saying that he doesn't condemn her, in order to enter God's Kingdom? I will leave you to ponder the question. The funny thing is, one of Jesus's most persistent criticism against the Pharisees, whom we were warned not to emulate, was how they follow the law to the letter and refuse to be flexible. Another criticism was how they were self-righteous, seeing themselves as superior to the others, thus causing normal Israelites to despise them. And yet, amusingly, in many evangelising efforts, we adopted those very characteristics of the Pharisees that Jesus hated. The NUSWhispers posts are the best proof, a sentiment that is perhaps not that different from those of the Israelites against Pharisees more than two thousand years ago. Personally, I think that it is time for us to be concerned less about conversion than the second most important commandment that Jesus asked us to do. In fact, he specifically mentioned that "There is no other commandment greater than these." And that second commandment, after loving your God with all your heart and soul, is LOVE YOUR NEIGHBOUR AS YOURSELF. And if I am allowed to go a step further, I would say that everything else, including making disciples, is secondary. We are called to be the salt and light of the world, and I believe that the only way we can do this is to start doing things that reflect our love for one another. Are we demonstrating our love for others when we stand at the street trying to sell our religion? Or is love better demonstrated through other actions, such as voluntary work or fighting for causes? And no, I don't mean voluntary work disguised as evangelism effort (where you help others in the hope of spreading the gospel), because those work are fueled by your desire to spread the gospel, to hit your KPI, instead of love. Did Jesus, after performing each miracle like healing or resurrection, immediately go to the person and say "Oh, by the way, I want to share the Gospel" or "You need to convert to be healed"? No! So why are we so concerned about spreading the gospel first rather than doing what we are supposed to do? If there's one thing that is wrong with Christianity today, it's how we are more concerned about growing our numbers than only loving. And unless we address this issue, being a Christian today is no different than being a Pharisee two thousand years ago.